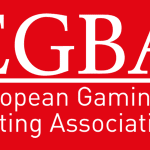 The European Gaming and Betting Association has welcomed an opinion from the EC criticizing changes to gambling laws by the German state. Last year, Schleswig-Holstein broke away from the other German states and created what EGBA called a sustainable and European-Union compliant licensing model for online gambling and poker operators. 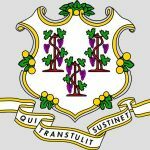 Unfortunately, after a new government was voted in, the state has now declared that it intends to replace its new, liberal legislation with the controversial German State Treaty, signed by the other states. The European Commission responded to Schleswig-Holstein’s intention with a ‘detailed opinion’, essentially slamming the idea and informing the state that it would not be in compliance with EU law. The European Commission’s detailed opinion against Schleswig-Holstein sends a clear message that member states are no longer going to be allowed to impose gaming regulations that fail to meet the tests set by the Court of Justice of the European Union, said the Secretary General of EGBA, Sigrid Ligne. 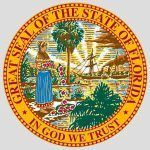 By rejoining the German State Treaty, Schleswig-Holstein would in fact be prohibiting online poker and casino gaming and restricting sports betting to only 20 licenses. According to Ligne, this would take Schleswig-Holstein from a sustainable licensing system to an inconsistent and unjustifiably restrictive regime that would be a significant step backwards and one which the European Commission cannot approve. 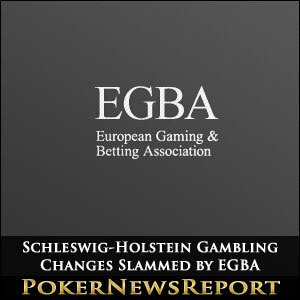 EGBA, which represents some of the top online casino and poker operators in Europe, stated that the German states cannot continue to ignore the warnings coming from the European authorities, nor the growing criticism evidenced by the multiplication of complaints and litigation even before the new legislation is introduced . EGBA is of the opinion that Schleswig-Holstein’s intentions to introduce new legislation creates a level of legal uncertainty which is damaging for all parties, and for German consumers in particular. 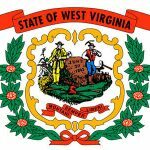 The association believes that only the European Commission can restore legal security for online gambling operators and European gamblers by taking action against Germany and other European countries who contravene EU gambling guidelines.